I am a member of BANT and CNHC Registered Nutritional Therapist and passionate cook with over 10 years of experience. I preach what I teach – I aim to be the role model but I also have my ‘ups’ and ‘downs’ and I understand how difficult the change can sometimes be. My clients describe me as friendly, understanding and positive, which helps them to open up, commit to the process and stay on track with their goals. I use coaching and behaviour change techniques to increase your chances of achieving and sustaining your goals. 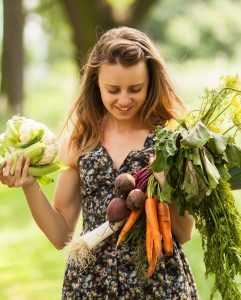 I have a strong interest in traditional ways of healing, such as Five Elements Nutrition and I believe in eating seasonal, local food that is prepared with care. On the other hand, using evidence-based research helps me to translate this knowledge into informed practice. I share plenty of recipe ideas and cooking hints and tips. I work with limited number of clients at a time to dedicate you my full attention. I offer consultations in person and on Skype to make things easy for you. Welcome! My name is Emilia Skrzypek, I am a Nutritionist and a founder of Your Optimum Nutrition. 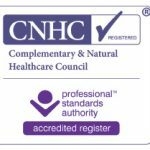 I do one-to-one Nutritional Therapy consultations in Winchester and online, through which I help people manage their health complications and achieve wellbeing. I also run workshops and cooking classes and have created an online course that is focused on building healthy eating and lifestyle for life. I have been learning about food for over 10 years through two universities and several courses. In my practice, I use evidence-led nutrition alongside elements of traditional ways of healing, such as TCM and Ayurveda. Your Optimum Nutrition stands for finding a balanced diet that works best for you and my role is to help you develop healthy relationship with food and your body. Changing nutritional habits is not easy, and you’re more likely to succeed with and experienced and knowledgeable support and once you learn how to do it, you will never look back! I am a member of BANT and CNHC Registered Nutritional Therapist and passionate cook. I have been exploring the world of nutrition since 2006 through two universities in two countries and numerous courses, workshops, books and publications. Investing time into constant development allows me to be up-to-date with the latest research and techniques. Moreover, years of experience in managing teams gave me lots of hints on how to motivate people to achieve overall success, and these skills prove to benefit the clients I work with. For the MSc thesis I have been exploring the barriers and facilitators to changing nutritional habits, as well as the behaviour change tools that can be used to support the clients and this has become one of my key areas of interest that I continue to develop ever since.